Its the one memory I have of you that makes me smile and cry at the same time. If I knew it was the last time, I would have let you hold me for just a little longer, I would memorise the curves of your back and the beating of your heart against my chest a little more; but mostly I would have taken a deep breath of you, thats what makes me cry you see, how I can’t remember what my favourite smell feels like in my body. 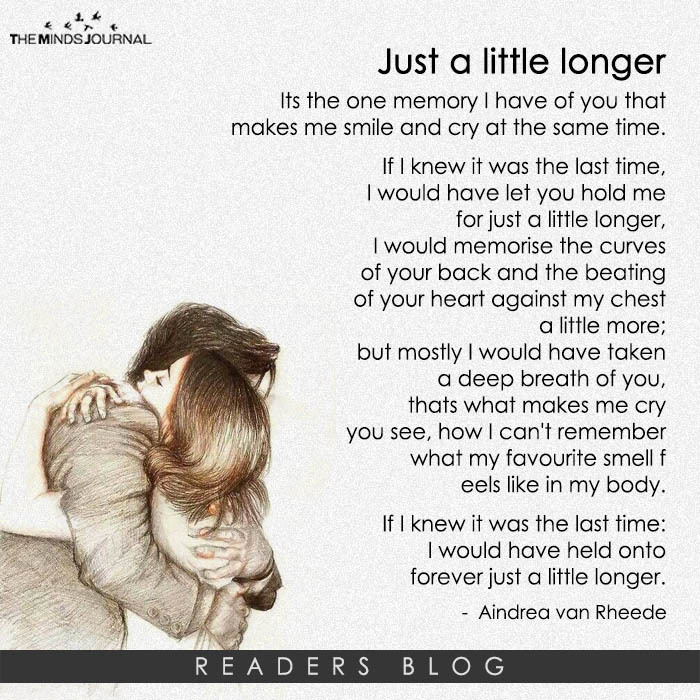 If I knew it was the last time: I would have held onto forever just a little longer.